The Northeast Ecological Recovery Society is a not-for-profit organization dedicated to ecological stabilization,environmental protection and restoration of native species in the American Northeast. One of our projects, Timber Wolf Recovery, was formed for the purpose of helping in the restoration of the timber wolf into the six million-acre Adirondack State Park. Our goal is to educate the public on the benefits of restoring the wolf to the northeast and to dispel the ancient myths that have destroyed the wolf throughout its former range. We hope to separate fact from fiction and present this extraordinary animal in its true light. The Adirondack State Park, located in the northeast of New York State, is a huge wilderness area. It's six million acres make it three times the size of Yellowstone National Park. 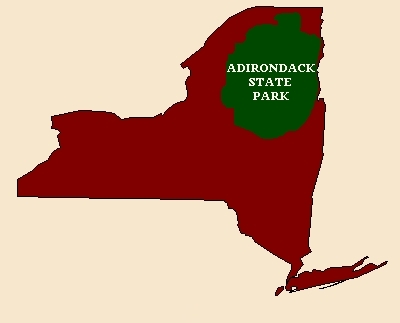 The wolf has not been in the Adirondacks for over 100 years, yet the park area is prime wilderness habitat with an adequate prey base and low numbers of domestic livestock. The return of the wolf to the Adirondacks would be a profound statement of our commitment to erase some of the ills of the past. 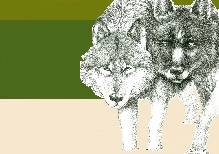 At NERS, our hope is that, through education, people will begin to understand the wolf as an integral part of, and keystone species within, the natural world around them. Other projects of the Northeast Ecological Recovery Society include the re-planting of the American Chestnut tree in the Adirondacks; the installation of bat houses in Cunningham Park in Queens, New York City, and the building and installation of barn owl boxes with our non-toxic homemade paint. copyright © 2005 Northeast Ecological Recovery Society, INC. all rights reserved.